Since he was about two-and-a-half, my son has loved to draw. Every day he fills dozens of pages from small, spiral-bound notebooks with adorable images of people, places, and things. His inspiration comes from watching copious amounts of old Blue’s Clues episodes thanks to our Amazon Prime subscription. His mother and I are more than happy to facilitate his creative endeavors with an endless supply of paper and crayons. As the drawings began to take on a personality of their own, we noticed he had a recurring set of characters that represented important people in his life. We began to easily recognize images of myself, my wife, his little brother, grandma, and even our dog! The big question was, what were we to do with these amazing keepsakes? We couldn’t simply toss them out. With so many variations floating around the house, we wanted to do more than relegate them to a scrapbook he can’t fully enjoy until he’s older. After seeing great examples on Pinterest, my wife proposed that we create a custom fabric from which we could make a blanket for our son’s bed. I started by scanning about 40 of our favorite images into Photoshop. I isolated the lines and removed the backgrounds of each figure. Then, I created a square layout comprising all of the cleaned up images. From there, I uploaded our design to spoonflower.com and ordered enough fabric to make a twin-sized blanket. My wife stitched the pieces together, added a blue backing chosen by our son, and that’s it! 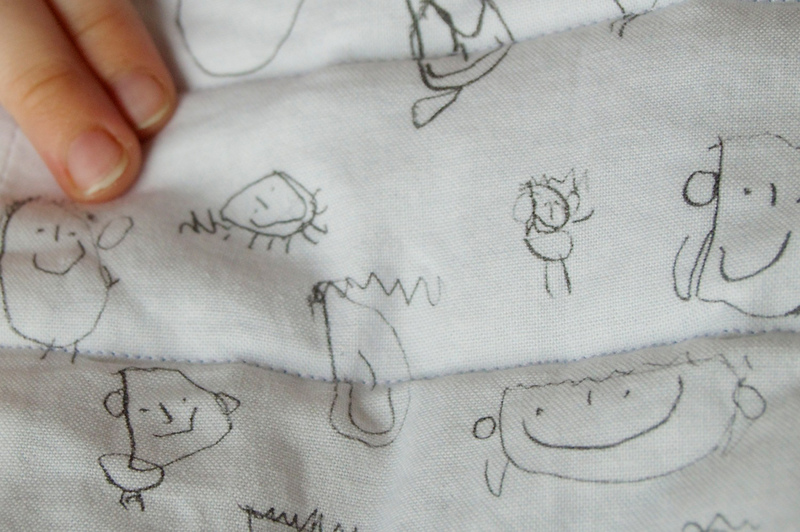 We now have a blanket designed by our three-year-old that will be cherished for years. We gave the blanket to our son on his fourth birthday, and he was thrilled to see the final product. It’s now proudly displayed on his bed and he delights in looking over the images he created each night. 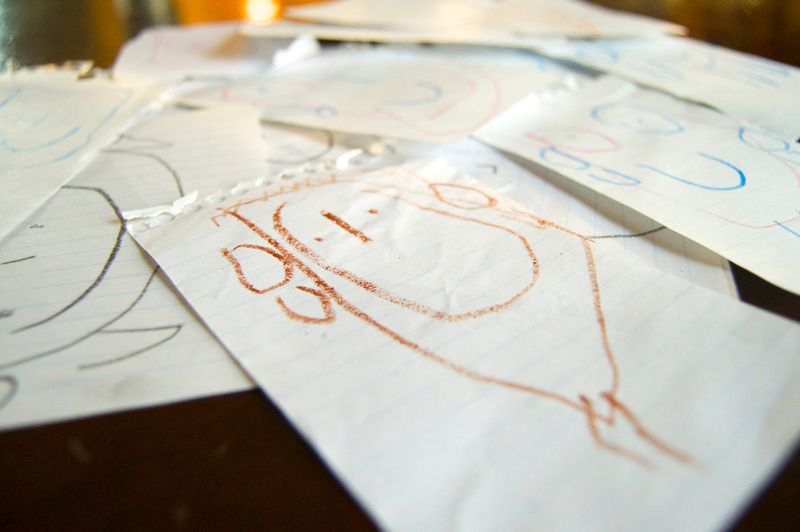 How are you preserving your child’s creations?